Did you know that 8 million tons of plastic come to sea every year? If we continue like this it is possible that in 2050 the oceans have more plastic than fish. The situation is unsustainable and the figures are scary. This is not a problem beyond our control. This is a problem that affects us al and we should raise awareness. Individual action is where it starts. We can all contribute our bit to prevent it from getting worse, ultimately improving the situation. 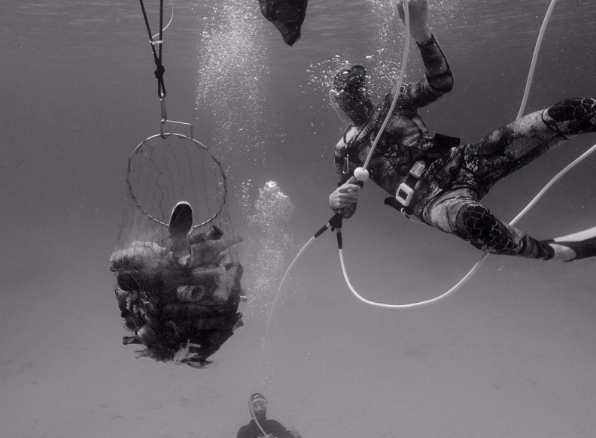 Those who work every day under the water find plastic in each dive, but never cease to amaze us. 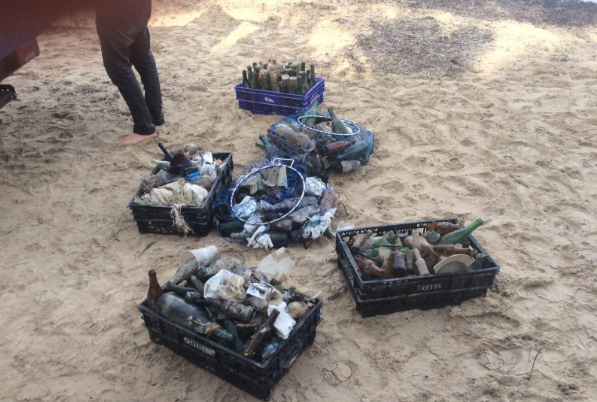 A few days ago, a group of friends and entrepreneurs from Mallorca decided to gather to spend a different Sunday to collect trash from the sea. We choose a beautiful cove that every summer welcomes more people on the beach or who throw anchor with their boats. Each one brought their equipment, but with the help of PETER Diving System we got to collect between 15 and 20 kilos of waste in periods of 10 minutes. Without the heavy and bulky SCUBA we were able to work comfortably and with more efficiency. The task became easier and this allowed us in a few hours to collect huge amounts of garbage. Our friends of The Seabin Project organize this event. They actually have a project dedicated to remove plastics and other pollution floating in ports and marinas. Australians Andrew Turton and Pete Ceglinski have created this initiative to help solve and prevent the problem of pollution in the oceans. Seabin is basically a waste bin that absorbs plastic, paper, oil, fuel and detergent that is floating on the surface. It does it automatically. Another way to reduce the large amount of non-biodegradable and toxic waste that is thrown into the sea. Either way, no effort will be enough if we do not stop throwing waste to the sea, and that comes from education and awareness. Thanks to the friends who joined this day, especially Elena Rotger for shooting and editing this good memory in a magnificent video. Also thanks to ISURUS for lending us equipment and air. What plan do you have next Sunday?